Grey Matter Art is pleased to announce the next release in our line of Marvel’s fine art collectables for everyone’s favorite female super-hero, Captain Marvel! In anticipation for the upcoming movie,we present Captain Marvel #1 (variant comic cover) by Eisner award-winning artist and illustrator, Adam Hughes! GMA are so delighted to be producing this stunning cover art and adopt it into a 13 x 19″ poster for fans and collectors to hang. Be sure to follow us to keep up on our releases of Marvel’s fine art collectibles! On sale Wednesday, February 13th at 1pm Eastern (10am PST) HERE. 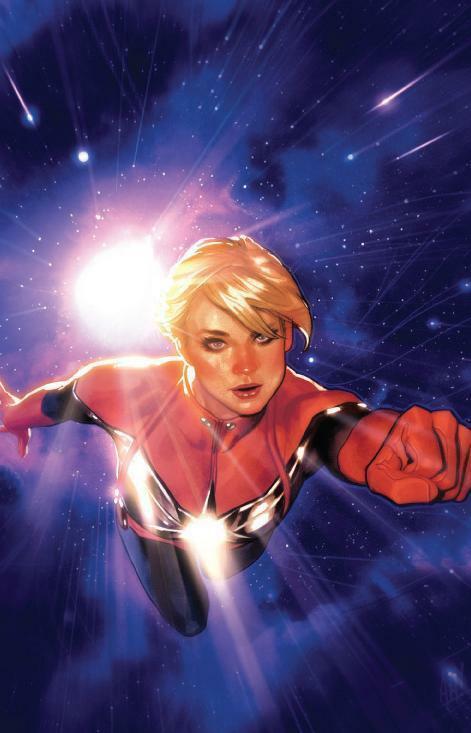 This entry was posted in Art Prints and tagged Adam Hughes, Captain Marvel Variant #1 by admin. Bookmark the permalink.